No doubt about it, cerulean has trumped viridescent, again, in the Sinhala heartland, the blues even comfortably winning Kandy District which the greens had hoped to bag. In the Tamil north, Rajapakse and his factotum Douglas have been given the thrashing of their lives in a TNA landslide like never before in our electoral history – over 80% of the vote. The Tamils have in an emotional sense affirmed war crimes accusations, they have also rejected the Sinhala State; there is no other interpretation for this result. Of course this is not a tribunal, but it is of political significance. There is a dangerous bifurcation of the country which will not diminish till the Gota-Mahinda regime is driven out. Let’s grow up and get real; there is nothing this regime will not do, if it can get away with it, to sink the new NPC-TNA Administration; the survival of dictatorship is predicated on snuffing out independent power centres. Call me a pessimist if you will; on this topic I am. Nevertheless, I have inserted the caveat, “if it can get away with it”, to concede that until CHOGM is done with, inflicting injury on the NPC will be restrained since Singh, Cameron and Abbot may pull out. The statement from Navi Pillai’s office said: “We categorically deny the High Commissioner ever uttered a single word about the statue of Prime Minister D.S. Senanayake at any point during her visit to Sri Lanka, let alone asking the President to remove it. This claim is without a shred of truth”. This is beyond belief; extraordinary, unprecedented in global diplomacy. Are certain people of clinically unsound mind? My editor, understandably, cannot publish names if I utter them. Don’t waste time with semantics like does Thamil Arasu imply a separatist agenda or does anyone have the right to praise Vellupillai Prabaharan in public; pointless discourses initiated by those who are unwilling to look at realities. And reality is, how will the NPC Administration, an occupying military of alien ethnicity, and a crude, cruel and corrupt government, co-exist. The next phase in the political game will be dominated by this imbroglio. If Sinhalese people continue to flock to the Gota-Mahinda agenda, as they seem to be, anything is possible in the coming years, an extreme scenario would be the resurgence of Eelam (meaning separatist) trends among Tamil youth. Paradoxically, Gota may be midwife to that which VP and the LTTE could not deliver. The TNA can thank Gotabahaya’s army for a landslide election victory. The blatant involvement of the army in election violence and refusal of the police to intervene indicates that Mahinda has lost control Gota, or Gota has lost control of the military. I have been saying this for months. It is time others with access to information, follow-up; I don’t have insider data to choose between the options. Since the credibility of the CM and NPC Administration is crucially dependent on their capacity to overcome Colombo’s hostility and get on with their job and their ability to have the army confined to barracks, a standoff with this power crazed regime seems unavoidable. For the record, and in passing, let me say a few sentences about my position on the LTTE. I do not agree with Chief Minister Wigneswaran’s reported characterisation of VP as a hero. I see VP as both a committed Tamil nationalist as well as a terrorist, at least to the extent the Sinhala army too indulged in extensive terrorism. Dichotomy is common among petty-bourgeois nationalists and rebels across the world in the last 100 years. I also hold that secession is detrimental because it will lead to chaos and create more problems than it solves. Readers will observe that my judgement has nothing to do with nationalism or the swell of patriotic pride; it’s to do with the greatest good of the largest number of people. However, none of this implies that I deny that the Tamils are oppressed. It is not Tamil rights is particular but democracy in general that I prioritise. If Vigneswaran and the TNA-NPC Administration can help bugger an authoritarian regime, they are my allies; if they screw up their tactics so badly that the regime can use them to prolong its authoritarian lifespan, then they are a bothersome nuisance. The Tamil problem is a subordinate issue in the generality of the national democratic revolution. It is foolish to run away from facts. The Rajapakse Regime (RR) retains its hold on the Sinhala mind; it is corrupt, cynical and brutal; the electorate knows this, thoroughly, but still desires to ingratiate itself with the regime and gave it a sizable majority. It is not possible to say when the addiction will end. If Hitler had won the war, adulation of the Fuhrer would have persisted for generations, so Nietzschean scepticism about the nature of man is in order. One must not abandon hope or the fight, but marinate it with a healthy dose of realism. The tiger cannot change its stripes or the leopard its spots. Can RR be anything but what it is? I think do-gooders who appeal to President and government to practice pluralism and reconciliation are naïve. If RR is unlikely change, it is up to the Sinhalese people to grasp the nettle and send it packing. Will they; if so, when? I have no idea, and certainly no time soon. Lanka faces a long hard grind ahead. My friends on the left write with assurance; here is a typical letter from a few days ago which I quote at some length because the writer is an influential but independent player on the left. “Though chauvinists in the regime use racist slogans on election platforms in the South they have to temporarily tone down their ultra-racism. Gota, Champika and Wimal seem to be going through a crisis. Liberals and leftist in the government are in a happy mood in this situation, but neither did anything useful during the visit of the General Secretary of HR (UN) or anything constructive regarding the TNA Manifesto. Vasu’s comments were utterly negative and predicted that the Manifesto would provoke the South. At the same time in a Ravaya interview he attacked Gota and other racists so as to make Mahinda look better. “The Welivariya incident clearly shows this government does not care about the people. It only protects investors and capital. People understood, in one incident, more than in a hundred of your study-classes, that the army is not their saviour. Neither the UPFA-left nor the racists offered any comments on this incident. “Living costs are rising by the day. They tax daily-needs goods again and again. They may win the PC’s in the South due to UNP weakness and low polling, but actually there is a big political leadership crisis in the country. A spontaneous uprising is coming. People do not care for any of the present political leaders. You are correct to pressure Jayampathy and others to criticise the leadership and put forward a common minimum left programme. The Communist Party, the JVP and JVP-breakaway group are also in the same boat”. Readers may not agree with the entirety of the flow of this argument and think it typical of the star-gazing that leftists indulge in. However, the points that this piece raises are not moon-shine. The nation’s state is truly parlous, even if “spontaneous uprising” is wishful thinking. I do not see a gathering storm on the Southern horizon, nor has the Cherry Orchard yet been felled. 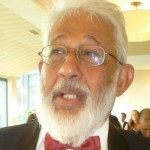 What next for the Tamils? What the TNA must not do under any circumstances is capitulate to the pressure of the rump-LTTE Tamil diaspora – TGTL or whatever it calls itself. The TNA must dig in and firmly affirm that it will remain faithful to the Manifesto on which it was elected. This will be trouble enough, without taking on board the rantings of LTTE-rump loonies. The TNA has now established beyond doubt that the in-country leadership is at the helm of the Tamil people and it must not allow the tail to wag the dog. The Tamil diaspora has helped and can continue to help in the development of the North and the East, it can play a constructive role; this is the relationship that has to be nurtured. The one issue on which Wigneswaran and the NPC cannot retreat is demilitarisation in some form and guise; this is non-negotiable for the people and for the TNA too unless it wants to lose all credibility. For Gotabaya and the army, it is a red-line that cannot be crossed. How is Mahinda going to make the tactical retreat that he must? The Tamils should rejoice that their emotions about war crimines has at last found voice; they had to wait four years for this opportunity, but history, like the mills of god, grinds slowly and unlike the said mills, it does not grind particularly fine. If the Tamils are allowed autonomy, in deeds even if not in Constitutional words, to live freely in their traditional homelands and to prosper, they will have to forget and forgive a lot. That’s the price of reconciliation from the Tamil side. My correspondent is right that Gota and the chauvinists must be marginalised first, then Mahinda, because one leg of his three legged stool would have fallen. I am reading quite a lot into the possibilities of the NP-PC elections, but working together the TNA and Sinhalese democrats can deliver a lot. Red Alert: Is A Black July Being Threatened Through The State Media?